Thank You From Gotham Bus and SCCADV! Your raffle ticket purchase has been forwarded to our friends at the Suffolk County Coalition Against Domestic Violence for processing. You’l be notified of your raffle ticket numbers as soon as possible. 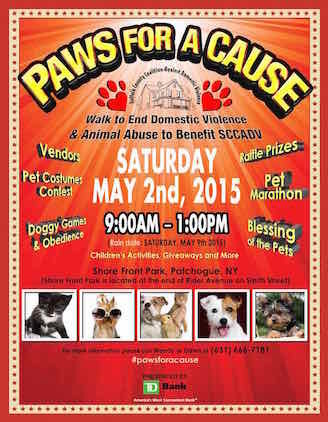 If you win the raffle, you’ll be notified after the Paws For A Cause event on May 2. We really appreciate your support! For more information about this great event for a great cause, visit SCCADV here.